Refreshing Daily in God's Word: Daily Devotion: Did You Know About Wind Wagons? 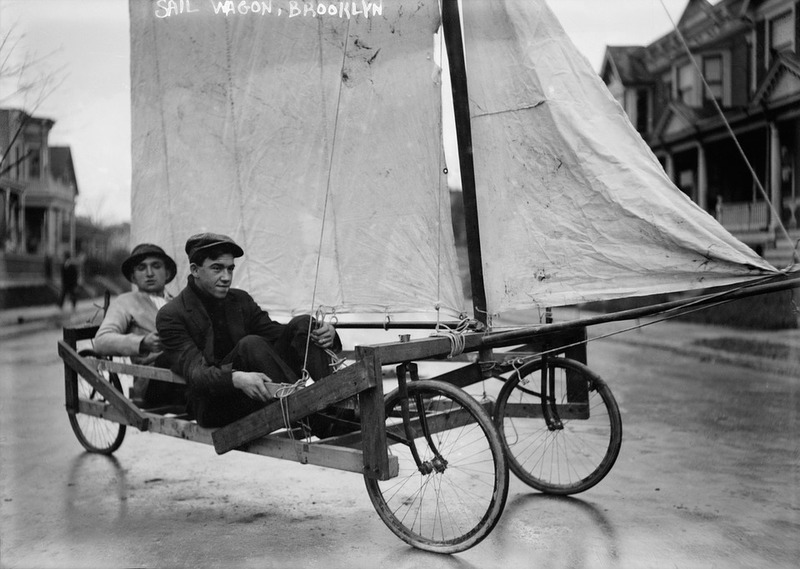 In 1830, a wind-driven car set sail on the Baltimore & Ohio Railroad. Doomed to failure, the Aeolus proved how difficult it was to handle when it sailed off the end of the track, smack into an embankment. In 1853, Tom “Windwagon” Smith was confident that his vehicle could “fly over the plains.” But his enormous Conestoga-style wagon, complete with a 20-foot mast flying over a huge sail, got caught in the crosswind and careened in a circle – and his investors abandoned ship. On a sunny spring day in 1860, as a wind wagon sailed into Denver, “everyone crossed the street to get a sight of this new-fangled frigate.” Who made this particular wagon? We’re not absolutely certain, but evidence points to A. J. “Andy” Dawson, from Oskaloosa, Kansas. His contraption had a boat-like mast and sail and had a crank, so the vehicle could be propelled, if need be. The wind wagon was alleged to have arrived in Denver from Kansas in about 20 days. Just as there are those determined to succeed with their “inventions,” Paul was driven as well. He was driven to finish the course that God had given him. May each of us be able to say that we have fought a good fight, we have finished our course and we have kept the faith. ✞ Finish the course to which God has called you.